Sitting all day long in a wheelchair is far from easy and it is tougher than it looks. It is always our primary desire to find a way to make the seating more bearable and comfortable. Pressure sores are just one of many issues that may occur. That’s why we have tested and reviewed the best wheelchair cushion for preventing pressure sores. 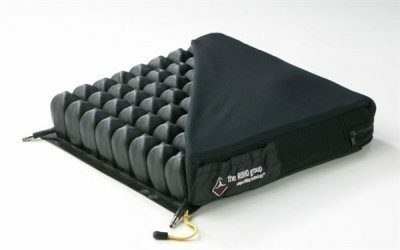 This PURAP unit is simply the best wheelchair cushion for preventing pressure sores. It has been developed specifically by actual doctors and healthcare providers to eliminate pressure sores altogether. It actually works and is made possible thanks to the unique design and the features of the cushion. This technology is relatively new, and is known as the 3D flotation technology. 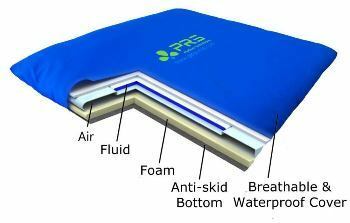 Basically, the cushion uses gel, foam and air in a unique combination. As such, it offers maximum comfort. 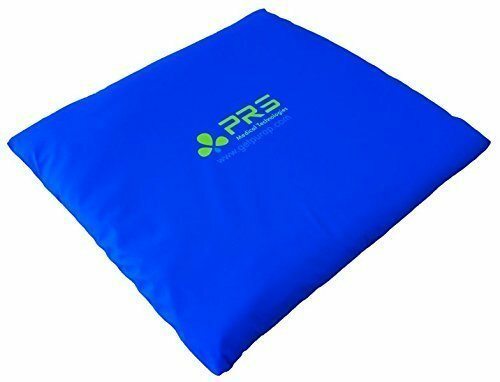 This small cushion not only prevents but will help your body heal pressure sores. You will feel the sores decreasing and will eventually eliminate the pressure on a specific hotspot. Besides the pressure sore benefit, it also treats sciatica or any other seating pain you may suffer from. For those of you who wants to know what sciatica is, it refers to back pain caused by the sciatica nerve. 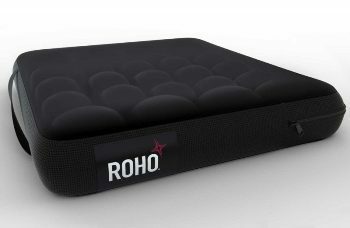 All of those who are looking for the most premium and best quality cushion for pressure relief will appreciate and simply love this model. The main material is made of a special type of neoprene and is designed for long use. Due to this feature, it is definitely one of the best and durable cushions you can get. The cover is washing machine washable but not the core of the cushion. You will have to clean it with warm water and soap. Keep in mind that using warm, not hot water is recommended. Little to no maintenance is needed for this particular cushion. The cushion is designed and made in such a way that it will adapt itself. It will adjust accordingly to the weight and the size of a user. All you have to do is sit on it and you will feel "seating perfect" after a couple of minutes. Due to its adaptability, the cushion can be used by several, different people. 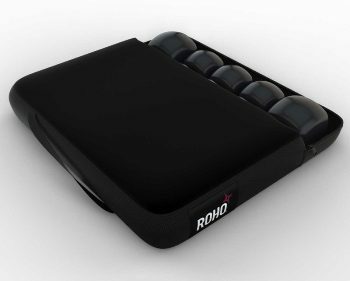 This cushion is compact and only weighs 3.2 pounds. These two features allows you to move or carry the seat easier than ever. 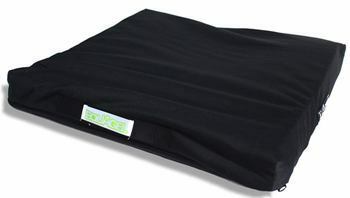 Gel wheelchair cushions are probably the most popular type of them all and there are thousands of different alternatives out there. 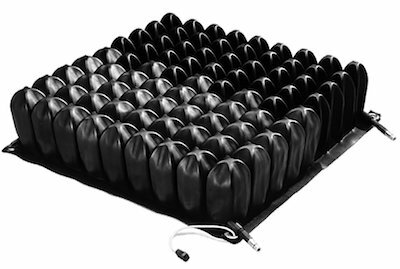 We chose the Miracle Cushion because it is well-made, the main material is very resistant, durable and even flame resilient. It also has an unique shape which is adapted to the shape of the pelvic. The model we tested is resistant to fluids and will stay fully operational after years of use. Don’t forget that almost all gel cushions offer this advantage, but this one is slightly better due to its outer material. The cover, which is made of black fabric, can be washed in a washing machine. The construction, the design, and the overall quality are the main reasons why this cushion is recommended for people who need it the most. 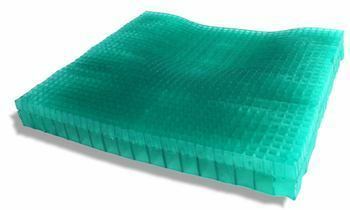 It is a medical grade level, many health care provider will recommend this gel cushion for pressure sores. An interesting point is its price. Most medical-grade models are extremely expensive, but not this one. It is a great value for money. This is the best thing regarding the miracle cushion. It makes sitting so much better and comfortable than most cushions. The black cover is too big. It will be better if it just fits the cushion. This particular model is a masterpiece. It is well-made and looks comfortable the first time you see it. We liked the fact it is one of the thickets models out there, providing a high level of comfort. Preparing the cushion and using it for the first use is relatively simple and you even get a detailed user manual which will assist you. The tested model is made of PVC (Polyvinylchloride) and there is no DEHP present here. What this means is that this particular cushion is safe from fire hazard and also very durable. In the package, you will get the cushion, a pump, and even user instructions. The pump is needed for pumping the air inside the cushion so that it will be usable. It takes a few minutes. Although this is an advantage, we didn’t like the massive air valve which can be easily damaged after years of use. 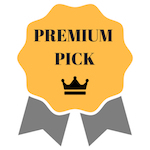 Overall, the package is excellent and is great value for money. 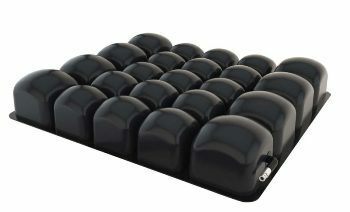 This is one of the rare cushions that comes with a weight limit up to 315 pounds or 143 kg. Therefore, before buying this cushion, make sure your body weight does not exceed the weight limit. Wheelchair cushions come in all kinds of sizes, with different features and for different, sub-purposes. However, all of them are made to increase comfort, make sitting stable, relieve pressure and improves positioning. The sad reality is, not all cushions offer all of these benefits equally. 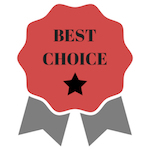 That is why we write this guide to help you find the best wheelchair cushion for your needs. These are the most common and the most affordable of them all. They are great if you are looking for a cheap alternative which doesn’t require maintenance. They also make sitting more stable and they are available in all sizes. However, they are not the best choice when it comes to pressure relief and advanced positioning while sitting. These cushions are much better when it comes to pressure relief and they are generally better than the first type we saw. In addition, they are also low-maintenance, durable and suitable for advanced positioning. However, they are heavy and expensive. 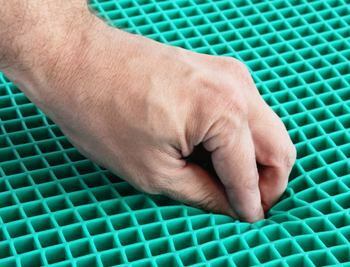 Air cushions offer impressive pressure relief and they are available in different, yet standard sizes. Some air cushion for wheelchair models are low-maintenance as well. But, they are expensive and not very durable. Keep in mind that most of them come with a repair kit, because they are quite sensitive. For max comfortability, you must get the perfect sized cushion in order to get the most benefits. It must be perfectly sized in general and must also offer great comfort at all times. A wrong sized cushion can have a catastrophic effect! This is the next main thing to consider. Bear in mind that we are referring to the type of fabric that covers the cushion. There are countless options out there, so we will not be able to mention all of them here. 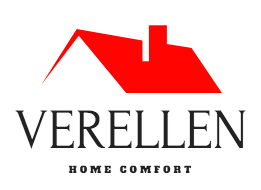 The bottom line is that the cover must be durable, tough and comfortable at the same time. A sub-factor here is the closure of the cover. It should be as practical as possible, yet it must be durable and strong, capable of withstanding frequent use. Zippers are the most common, but not the only alternative here. Another factor is the breathability of the fabric. Have you ever wondered why there are no leather cushions of this type? They must allow for the skin to breathe and to prevent sweating. If you are going to sit every day for the entire time, this sub-factor definitely deserves your attention. All cushions for wheelchairs require some form of maintenance. Some must be filled with air, others must be controlled for leaks and etc. But, we want to point out that maintenance also includes washing. Some models can be washed in a washing machine, while others can’t. Some must be cleaned with soap and warm water specifically. Always choose, if possible a fabric that can be washed in a washing machine. This decreases the maintenance time and in essence, allows for you to have a perfectly clean cushion within hours. As you were able to see, we included several models that have been medically tested and approved. This is the main factor for some of you and generally a very important one to consider. When a cushion is tested and approved by a hospital or university, it means that it was tested in real-life situations. People actually used it and reported their feedback to the manufacturer. These seats are usually the best and the most expensive. They are not treated as accessories or similar, but rather as a medical equipment. If you are looking for a particular model which has the best satisfaction rate in general, a tested model of this kind will be the best option. Weight may be a less-important factor to consider, but it still can make a huge difference. Basically, a lighter cushion is more practical, easier to move around and maintain. There is no need in telling you that lighter models are also desirable when it comes to wheelchair movement. If you are paying a lot of attention to this factor, make sure that the cushion isn't poorly designed and made. Despite the fact that it is lightweight, it still must provide a high level of comfort and meet high expectations. All air cushions for the elderly must be able to last at least a decade. 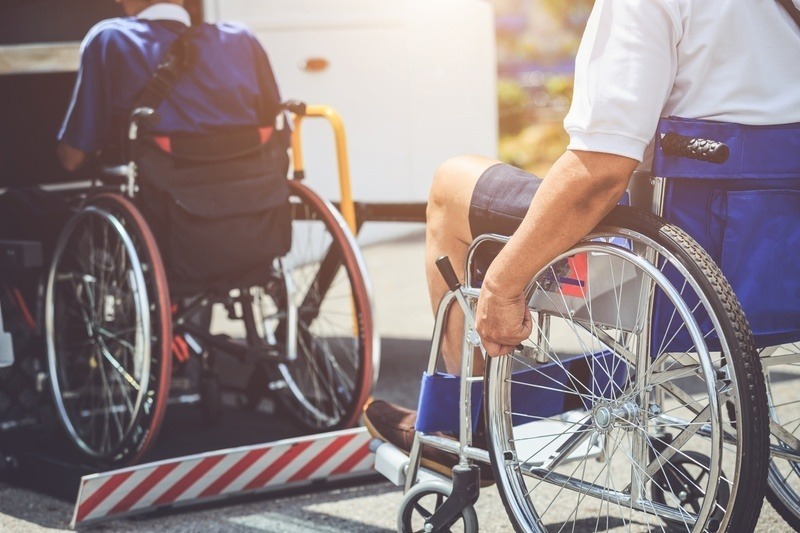 This is the most important consideration to take into account before buying any wheelchair cushions but still, many people will overlook this factor. 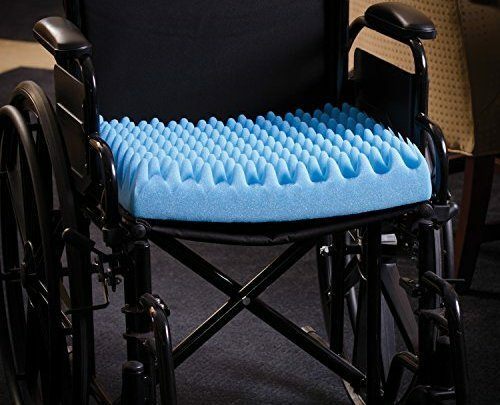 A foam wheelchair cushion or any other type can be designed for a specific purpose, such as for pressure sores. However, this also means that some models are designed and made for comfort only. Others are designed for treating back issues etc. 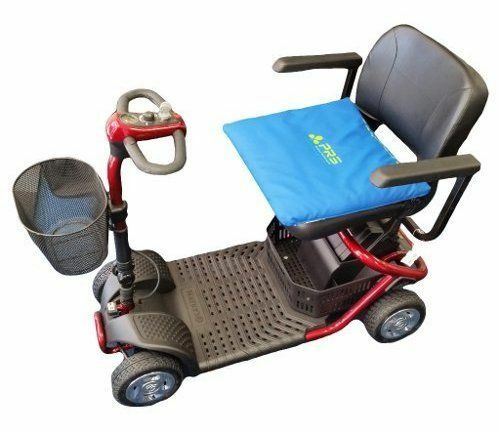 The bottom line is that a wheelchair cushion must be designed and made for the specific purpose you have on your mind. 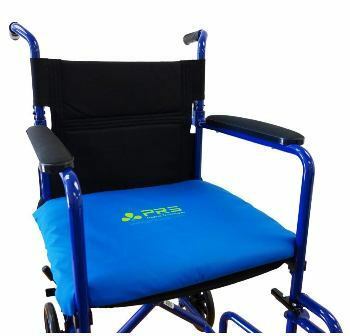 Our final verdict, the PURAP seat cushion is simply the best wheelchair cushion for preventing pressure sores. It is based on the latest technology and the benefits it offers are impressive. We can say that it is the most sophisticated type of wheelchair cushion we have encountered. Of course, the quality and the attention to details are impressive as well. We rate this model 5 out of 5 stars. Other models in this list are great too. When it comes to the build quality and durability, they can be an excellent choice as well. After all, only the best wheelchair cushions were able to reach our list. On the other hand, if you are looking for a wheelchair instead, check out our verdicts here. Outstanding post, I conceive people should acquire a lot from this weblog its really user pleasant.